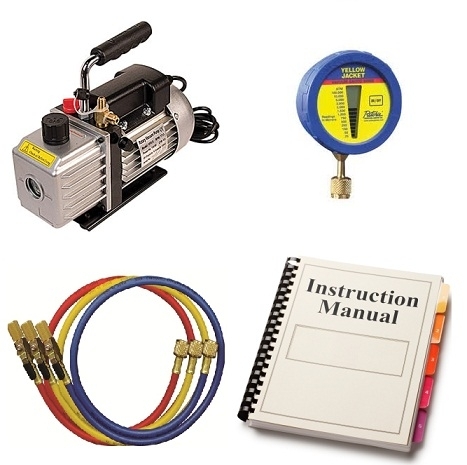 This equipment is recommend when installing one of our air conditioning - heat pump systems. The test rig comprises a vacuum pump, gauge and valves, for £96 plus shipping. The rig comes complete with easy to use illustrated instructions. The rig performs two functions. The ability to vacuum down the system and remove any moisture that may be present in the system pipework. The rig allows you to perform what is known as a vacuum leak up check. This gives you a good indication of the integrity of the flared pipework connections, that connect the indoor and outdoor unit. The cost to hire the vacuum rig is £96 for 5 days, with an additional £150 refundable deposit. 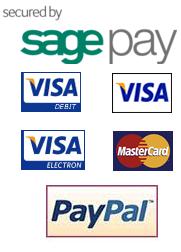 Additional days will be charged at £20 per day (delivery and collection days are included in the hire period). We will arrange delivery and collection of the rig. Once the rig is returned back to us in good condition, we will refund the deposit back to you via bank transfer.